Corn is one of those ingredients you could use over and over in countless preparations, either savory or sweet, and never get tired of it. In Peru for instance, we have innumerable ways of using this ingredient, but one of the most popular, without doubt, is our beloved corn pudding, or pastel de choclo, filled with beef, raisins, black olives and hard-boiled eggs. Yes, it is almost the same filling we use for papas rellenas, arroz tapado, or empanadas. But believe me, the combination is amazing, and it becomes completely new when eaten this way. 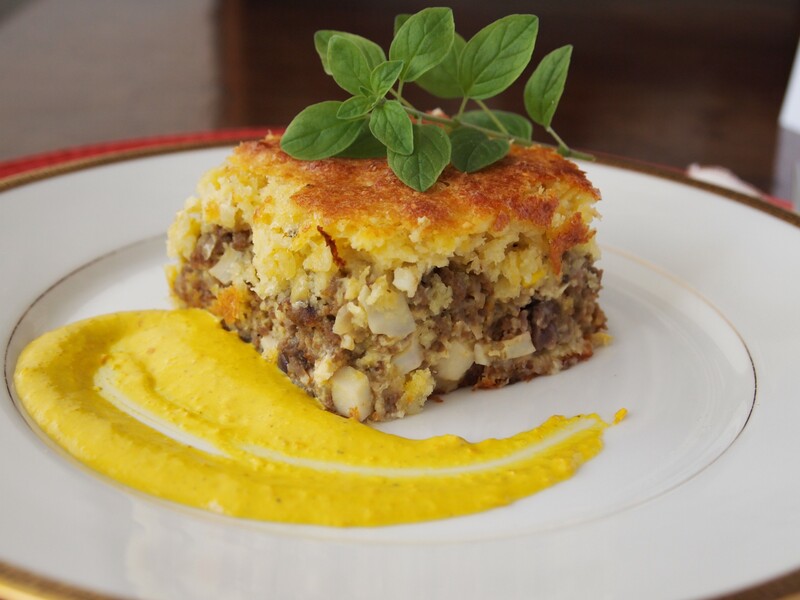 A good pastel de choclo must be soft and creamy; you should be able to eat it with a spoon. To achieve a good consistency, try to use mostly very young corn, mixed with some ripe corn. If overly ripe corn is all you can get, forget about this recipe because it will be hard as a rock, and the entire point of this dish will be missed. If you can’t find Peruvian giant corn, then any white corn can be used. Don’t use sweet yellow corn though, because the result will be completely different. Some specialty stores sell Peruvian corn, but most of the time it’s already cooked. We suggest you only use it if you can find it raw. 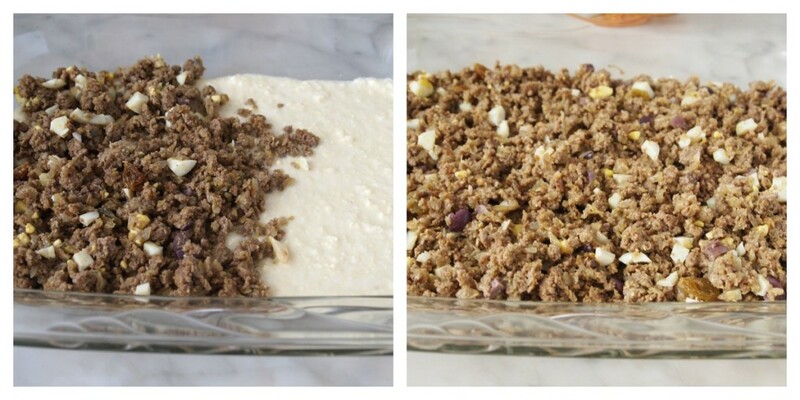 Three layers are needed to build this pudding: the first one is the corn mixture, then the filling, which you can change by substituting the beef with chicken or seafood, and the third layer is the corn mixture again. Brush the surface with an egg yolk combined with water, to make it golden when baked. A vegetarian version is also very easy to make, substituting the beef for cheese slices, or simply making it without a filling. I love to serve this dish with ají amarillo sauce, with Huancaína sauce, or Salsa Criolla, but you can serve it plain and it´s equally delicious. Enjoy it as an entree, appetizer, side dish, breakfast, or however you like. And as always, the most important factor, is that you make it with love. In a saucepan, heat ¼ cup oil over high heat. Add the ground beef and cook for 10 minutes stirring constantly. Transfer to a bowl. In the same saucepan heat the remaining oil, add onion and garlic, and cook stirring a few times until transparent. Add tomato paste, and beef stock or water, cook for 5 minutes, and return the meat to the pan. It should be saucy. Incorporate raisins, hard-boiled eggs, and olives. Stir and turn off the heat. Reserve. Preheat the oven to 350ºF. 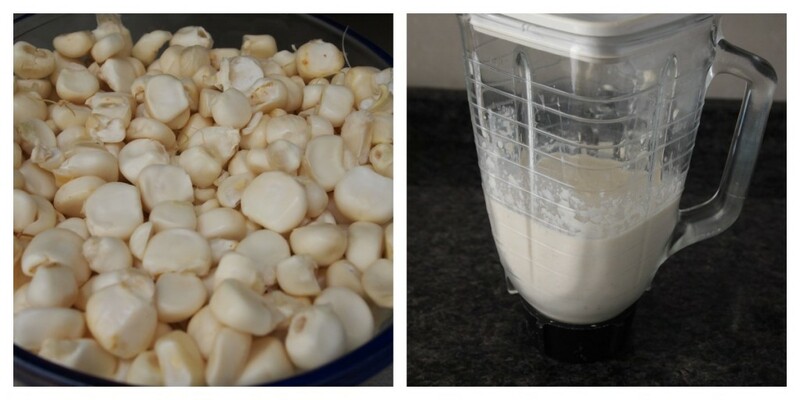 In a blender or grains grinder, process the corn kernels with milk and melted butter. Add sugar, salt, pepper, and egg yolks. Transfer to a bowl, and stir with a wooden spoon until the mixture looks very soft. Beat the egg whites until firm, and fold into the corn mixture. Have a rectangular Pyrex baking pan ready. Pour half the corn mixture in the pan, cover with the cooked beef and top with the remaining corn. Brush the surface of the corn with the egg yolk and water mixture, sprinkle with aniseed, and bake for 45 minutes or until golden and firm. Serve with ají amarillo sauce, Huancaína sauce, or Salsa Criolla. When do you use the Half & Half? Hi Edgard. The Half & Half is used to process the corn in the blender. I wrote milk instead of Half & Half, thanks for letting me know. I´m changing it immediately. Another meal I am familiar with thanks to my Chilean wife. I should have encouraged her to make it yesterday after I took the mince out the freezer, would have saved her from suffering from my cooking. Great, Steven! 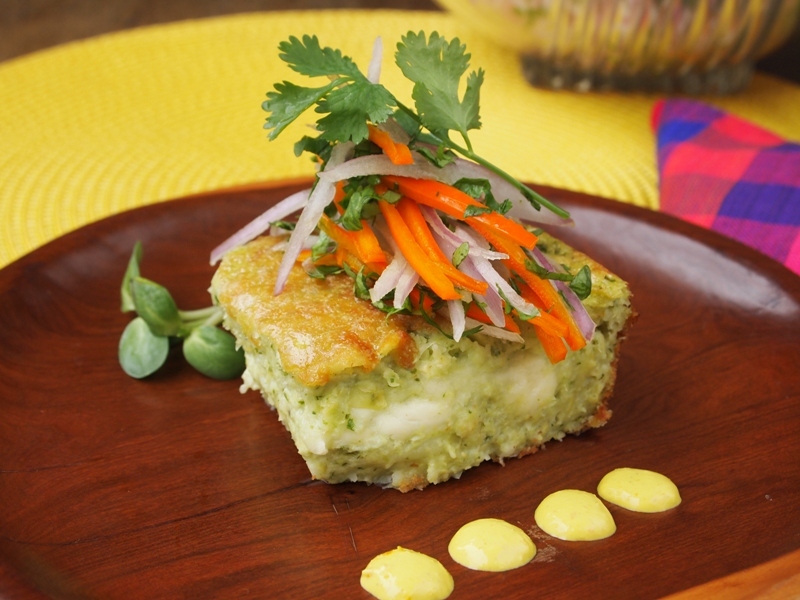 There are some differences between Peruvian and Chilean pastel de choclo, but both are wonderful. If you make this recipe let us know how did you like it? And send photos, please! I love this Peruvian dish. Just a questions, though. I have never been able to find hald and half in Lima. Any suggestions? Hi Jackie, thanks for your question. Instead of half and half use crema de leche. 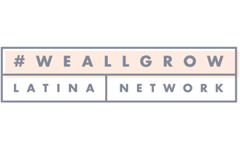 As most Peruvian ingrediates are not sold where I live and I have to order them online or wait for my father in law to come visit; What can you substitue the white corn kernels with? Hi Brandy, use regular corn kernels. 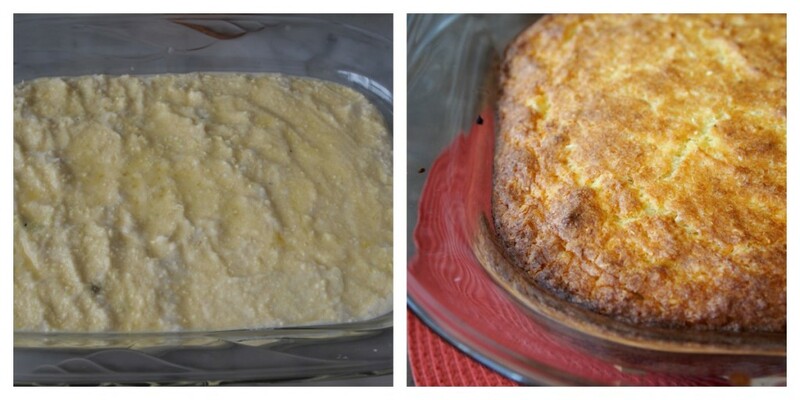 I´ve made this pudding with Peruvian corn and with regular corn and it´s delicious.